The Lifeline Zero 360 Novec 1230 range of car fire extinguishers offer all of the advantages of a small compact system without compromising on performance. This makes the 2.25kg models particularly suitable for single seater applications. 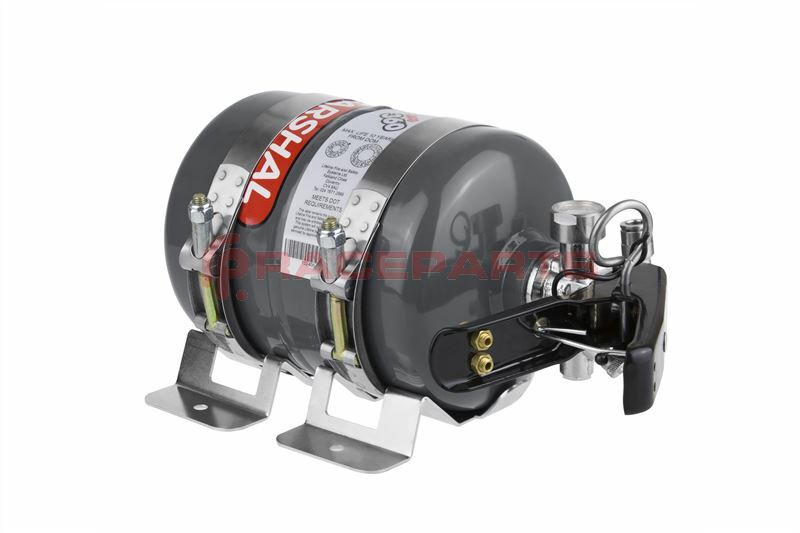 This Novec 1230 2.25Kg extinguisher system is manufactured using an aluminium cylinder that offers weight and space saving benefits. Expertly designed to suit all Club Level, Historic and Fast Road applications. This Lifeline Zero 360 2.25Kg mechanical extinguisher kit was formerly known as a 104-225-001. This extinguisher system is available in either the standard red finish or a polished finish. There is also available a bottle only option or just the installation kit which can be useful if you have multiple cars. The installation kit is everything listed in the full kit but does not include the actual extinguisher bottle. This extinguisher meets FIA Technical List 16 requirements and is suitable for competition in MSA and FIA events past 2022. You should however consult your series/championship regulations before purchasing.